Changes in food fads and fashions are endlessly fascinating. Often, they’re related to status, as technological advances make formerly elite foods available to the masses. And then, of course, the elites have to find new foods to set themselves apart, sometimes adopting with glee foods hoi polloi were only too glad to abandon. That certainly seems to be the case for bread. Where once the whitest, lightest loaves were the preserve of nobility, nowadays the nobles flock to wholewheat, artisanal loaves. 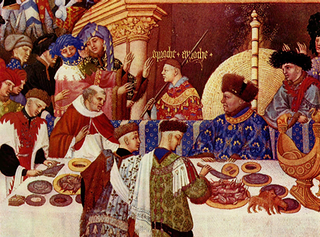 Rachel’s Laudan’s book Cuisine and Empire examines many of the links between food and status. In this extract from our chat earlier this year, we talked about white bread’s reversal of fortune. The original episode: Food and status. Linked from there too, Rachel Laudan’s post Why did our ancestors prefer white bread to wholegrains? Rachel Laudan liked this article on twitter.com. Bill Price liked this article on twitter.com. Chris Aldrich liked this article on twitter.com. Chris Aldrich reposted this article on twitter.com. AgroBioDiverse liked this article on twitter.com. Bananageddon liked this article on twitter.com. AgroBioDiverse reposted this article on twitter.com.